It’s not that difficult to solve this problem. Today, we are going to share a topic on How to Play a MKV Video on Windows! As Windows Media Player said that the Player might not support the file type, we can try to convert the MKV file to a Windows Media Player compatible file. 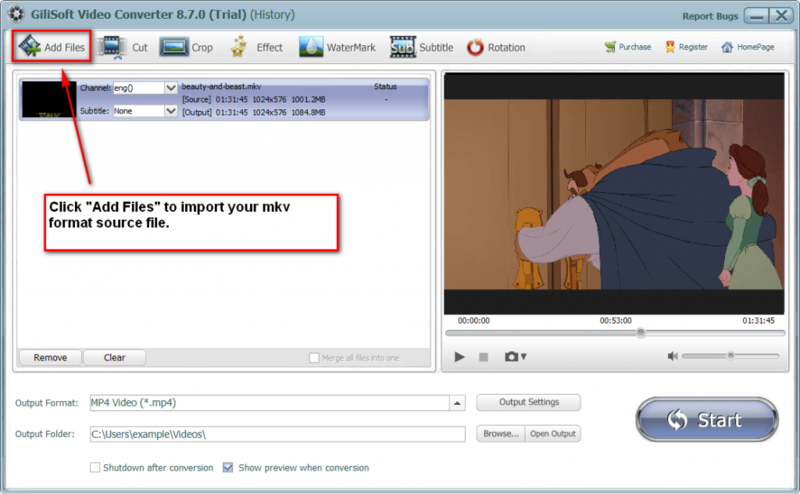 Run Gilisoft Video Converter, click on the “Add Files” button on the left top of the main screen to import your MKV source file. 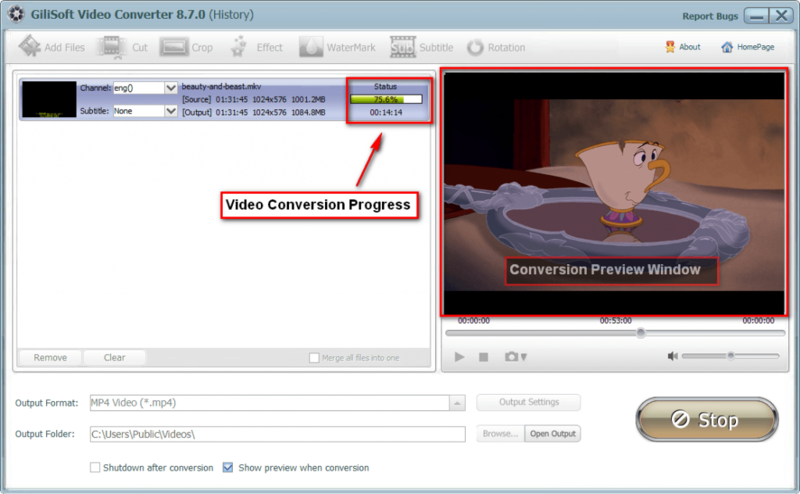 You can also simply drag and drop your MKV source file into the main window of Video Converter. If you only need to convert your MKV file to MP4 format, just keep the output format as default. 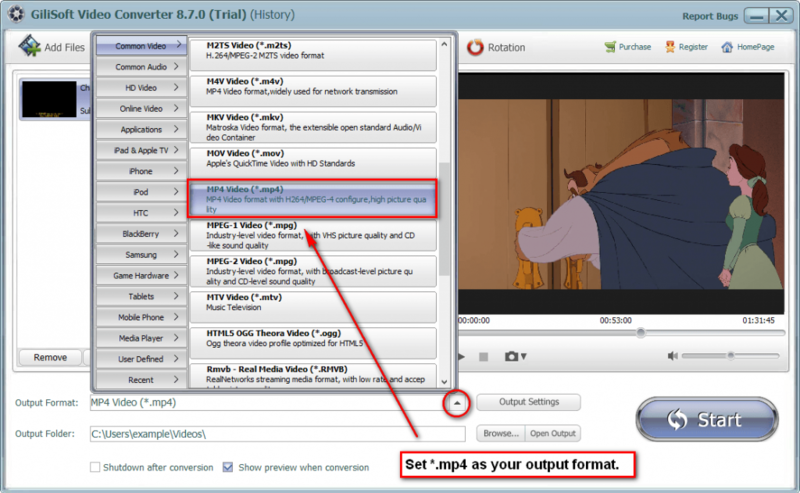 Besides that, Video Converter provides you with multiple output formats options, you can choose and set your expected output format.